ACCORDING to Sir Alan Cathcart, Triumph are rumoured to be developing a new product for the 'opposite end of the spectrum' - a 350cc single-cylinder bike aimed at beginners. 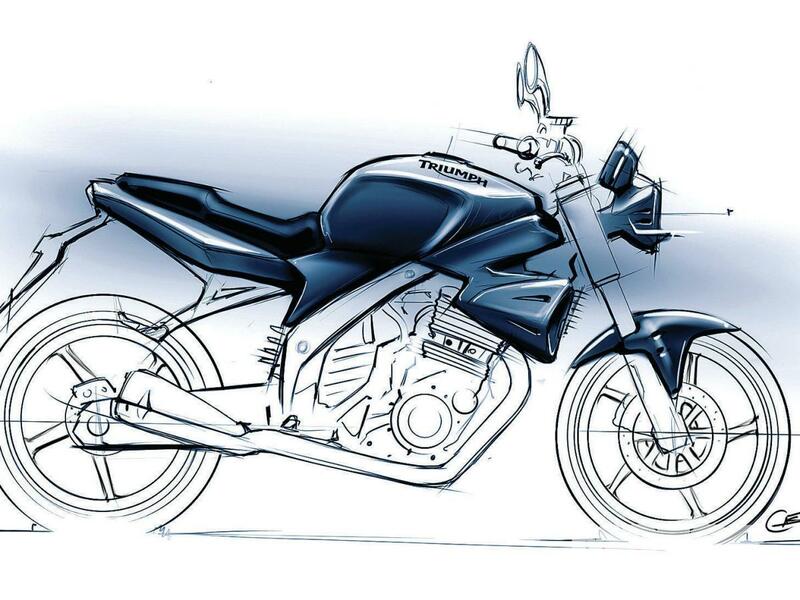 Called the Street Single, the image above comes from an artist's impressive of how the bike could appear, the lower-capacity machine will be powered by a liquid-cooled, four-valve, single-cylinder engine, with displacement ranging from 267 to 350cc depending on where it's sold. Triumph are believed to be presenting the Street Single next year. The speculation on Motorcyclist Online, comes from news out from Brazil's Motociclismo magazine that new bike will be assembled at Triumph's new factory in Manaus, Brazil, and built from kits produced at one of Triumph's Thai locations. The bike woold be a clear rival for the KTM-Bajaj KTM Duke 350 in targeted markets in South Asia and a naked alternative to the Kawasaki Ninja 250 and Honda CBR250R if brought to Europe.